A campaign to improve Cincinnati’s parks by raising the City’s property tax by 1 mill will “change the city for the better,” according to Cincinnati Mayor John Cranley (D). Cranley made his remarks during the official launch of the Citizens for Cincinnati Parks levy campaign on Saturday morning at New Prospect Baptist Church in Roselawn. The charter amendment would raise the City’s property tax rate to 13.1 mills and would bring in approximately $5.3 million a year. The move would require City Council to fund the Parks Department’s capital budget at its 2016 budget level, and approve bonds for capital improvements using levy revenue. Proponents say that 75% of the levy revenue will be available for the City to borrow against in order to fund 13 designated capital projects selected by the mayor and city manager. The remaining 25% will go to system-wide maintenance and operating costs. “We’re asking to voters to pass a very small property tax that we believe, for that small amount of money – $35 a year per $100,000 value – will increase property values and increase the quality of life for all Cincinnatians as we take the wonderful park system and we bring it to the neighborhoods,” Cranley said. The group needs to collect approximately 6,000 signatures by August 15 to make it on to the November 3 ballot. Cincinnati Parks has not placed a levy on the ballot since 1927. Board of Park Commissioners President Otto M. Budig, Jr. said that his organization has been charged with creating the best parks system in the country, but despite generous City funding and donor contributions, it continually finds itself short on money for major initiatives. While many of the projects are only in the conceptual stage at current time, the Citizens for Cincinnati Parks website says that they were chosen due to being the most shovel-ready, with the ability to be completed quickly. Multipurpose recreational trails are a major component of the plan, including the Oasis River Trail ($8 million), Wasson Way ($12 million), Mill Creek Greenway Trail ($5 million), and the Ohio River West Trail ($6 million). The City also plans to work with the Cincinnati Off-Road Alliance to develop more than 20 miles of off-road trails in Mount Airy Forest ($11 million). “The bike system that will be created as a result of this levy, off-road, which is a big thing for me – I think off-road is a much safer, dedicated path that doesn’t have as many accidents – the most extensive, bicycle urban path in America,” Cranley said. The plan would also raise $10 million for a joint venture between the City, the University of Cincinnati, and Clifton Town Meeting to create a new master plan for Burnet Woods. 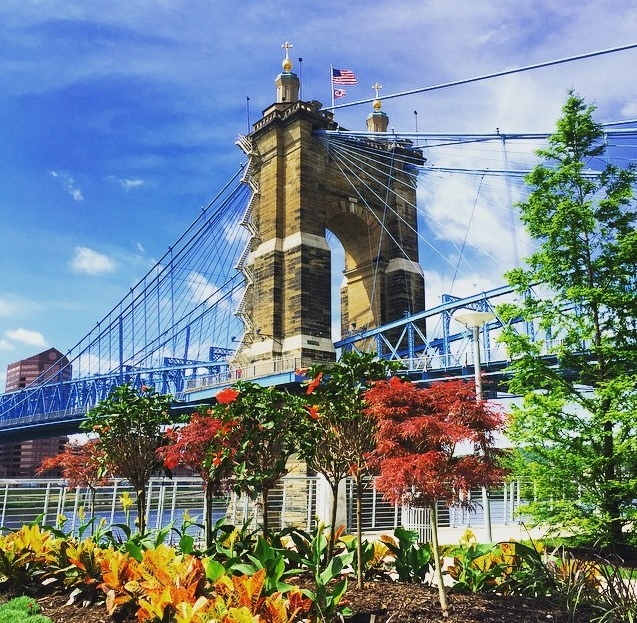 $1.8 million for a new boat dock/marina at Smale Riverfront Park.